Turkish officials speaking to The Washington Post and Reuters on Saturday said that prominent Saudi journalist-turned-critic Jamal Khashoggi was killed in the Saudi Arabian Consulate in Istanbul this week. Khashoggi has been missing since he entered the consulate in Istanbul on Tuesday. “Based on their initial findings, the police believe that the journalist was killed by a team especially sent to Istanbul and who left the same day,” the government source said. 1- As expected, European officials, who along with the United States, are among Saudi Arabia’s main arms-supporters, have avoided to take any explicit, formal, and serious stance on the missing of the Saudi journalist. Al-Saud’s petrodollars in the accounts of European governments have caused them to remain silent at this time in spite of Saudi family’s obvious crimes. The way Western officials encountered with the case of Jamal Khoshoggi has once again challenged the selective approach of human rights-defenders to this issue. Meanwhile, Western authorities have used both their public and covert diplomacy capacities to avoid turning the issue into a hot topic in their citizens’ minds. However, the key question is whether this effort will be effective or not? 2. It is certain that the vicious efforts of the Western officials to cover those cases such as Jamal Khashoggi’s murder, aren’t going to succeed at the present time! The United States and the occupying regime of Quds, as the main two players involved in kidnapping and murdering Khashoggi, spent a lot on setting up their “political” and “media” games in the international system. But the power of the independent media and the disclosures made by independent journalists in such cases prevent the implementation of this vicious cooperation. Since 2000 and the presence of George W. Bush presence at the White House, the United States and its European allies have repeatedly failed to overturn and distort the existing facts in the world and in the region. This failure also applies to the case of Khashoggi’s murdering. 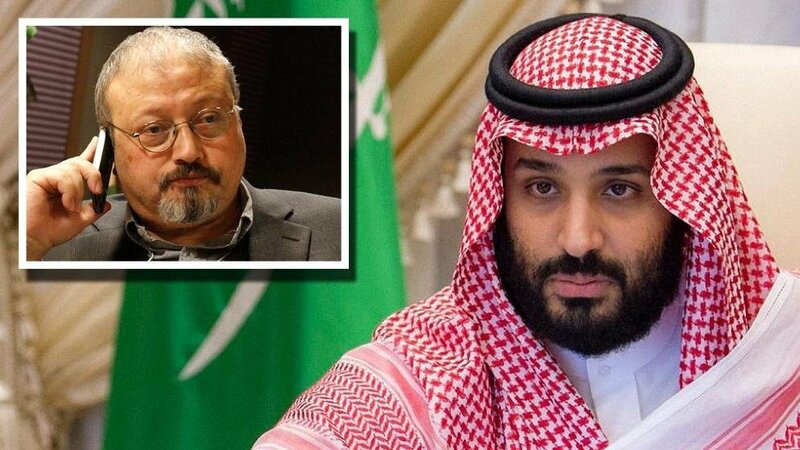 Obviously, despite the desire of the Saudi security agencies, the United States, the Zionist regime and European countries claiming to be the defenders of human rights, the case of Jamal Khoshaggi will become one of the most important “media-security” cases in the near future. Even Saudis’ billions of petro-dollars can’t prevent the formation of this trend. 3. The likely abduction and murder of Jamal Khashoggi at the Saudi Consulate in Istanbul occurred exactly at a time when Saudi officials were under constant pressure due to military defeat in Yemen and Syria and political defeat in Iraq, Bahrain and Lebanon. Beyond that, the news from the Saudi court reveals numerous and fundamental disputes existing between the survivors of Abdulaziz! Disputes that have led to internal conflicts in the court and even attempts to assassinations among Saudi princes. We have recently witnessed an example during the attack on Mohamed bin Salman and the shooting incident at the King’s Palace, an incident that Saudi officials had been hardly trying to keep as a secret, but ultimately didn’t succeed! 4. Along with the ruling anarchy in the Saudi court, we are witnessing the emergence of serious conflicts in Western countries over the European authorities’ support for the Saudi regime. In Germany, for instance, we can once again see that arguments has raised over ban of arms sale to Saudi Arabia for the crimes committed in the Yemeni war. Although the Chancellor of Germany, members of the German Democratic Party, and even the leaders of the Social-Democratic Party are all silent about this, and continue their give-and-take with the criminal regime of Saudi Arabia, but the protest of their citizens, the media and even some opposition parties has caused Angela Merkel and her entourage to be under pressure for this. The same is true in France and the United Kingdom: two veto-power wielded countries in the UN Security Council that have the blood of Yemeni children on their hands. In the end, it must be said that the vicious silence of Western leaders against the incident of kidnapping and assassination of Jamal Khashaghchi once again exposed the true face of the claimants of human rights and exposed their true face to the public opinion of the world.